Psychedelic Stoner Rock Band from Poland. 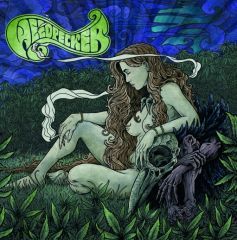 Weedpecker was born in Warsaw circa 2012, when the Dobry bros. (Wyro and Bandos) decided to match their dreamy psychedelic rock tunes with some stoner heavy grungy riffing?soon joined Pan Falon as drummer who plays also for ultraslow doomers Belzebong. After the summer of 2012 the lineup was completed with the Spanish bassist Jeso, who was earlier in some extreme acts like Looking For An Answer and Antigama. In April 2013 they recorded their first self titled album and since then they have been promoting it supporting bands like Elder, Naam or Mars Red Sky. This Product was added to our catalogue on Thursday 27 March, 2014.